But it’s just a laptop and this is the post PC era, for goodness sake! That is perhaps true, but people are getting really excited about Apple’s long-rumored 12-inch MacBook Air with Retina Display. 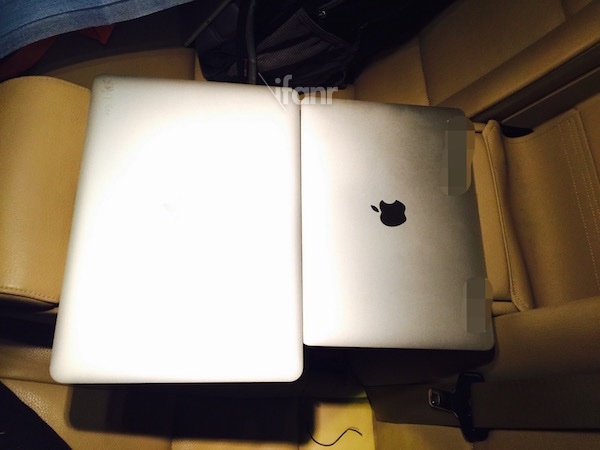 Folks are also getting excited about what this 12-inch MacBook Air isn’t, too. 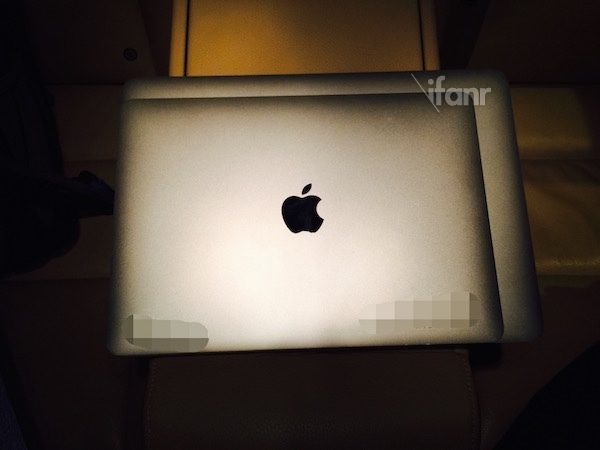 The latest rumors of the long-lusted-after 12-inch MacBook Air come via iFanr, a Chinese rumor/fan site. They managed to skive spy photos of the new ultra-ultrabook benchmark. Honestly, aside from the fact that it’s Aluminum and sized somewhat differently from the comparison current generation iPad and MacBook Air models, I’m not seeing much here. The one thing shown is that the 12-inch MacBook Air will apparently use the very same the metal sculpted Apple logo on the back of the display as current generation iPads. That said, if earlier 12-inch MacBook Air rumors are to be believed, Apple’s next-gen ultra-ultrabook will be very different indeed. For example, although the display size will 12 inches, it will have the same overall device footprint as a current generation 11-inch MBA. 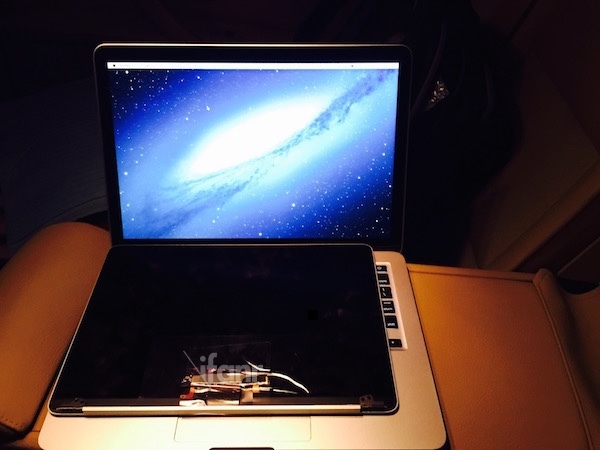 It accomplishes this by getting rid of nearly all of the bezels around the display and keyboard. Further, the next-gen ultra-ultrabook 12-inch MacBook Air will also be as thin or even thinner than current iPads, which is kind of taking Apple’s “thin to win” fetish to a newly absurd extreme. Lastly, the biggest difference of between current generation Apple portables and the rumored 12-inch MacBook Air is that the latter will have only one port — a USB C port that does power, networking, peripherals, etc, etc. Crazy? Too crazy? But will you buy one?